It’s week 2 of my Top 15 Ways to Get Your Home in Shape for 2016! Last week we started with the kitchen, and I’m dedicating this week to improving the room that sees the most coming and going (and going)…THE BATHROOM. There are a few chronic issues in bathrooms that are pretty much universal. The first bathroom issue is the slow drain. The second chronic issue isn’t a plumbing one, but rather a personal one… clutter! Now’s the time to streamline, folks! Lastly, a common complaint in bathrooms is mold and mildew stains on caulking. I’m talking about the stuff that won’t go away even after cleaning. Say goodbye, to gross! Continuing from last week’s tips 1 – 4 to improve your kitchen, here are tips 5 – 8 to improve your bathroom. 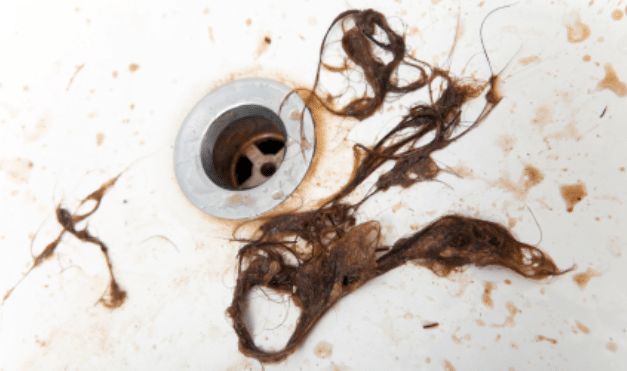 Very often all that stands between you and a well draining sink is hair and gunk tangled around the bottom of your pop-up (a.k.a. sink stopper). 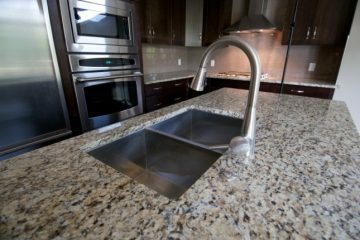 First know that some pop-ups don’t require any disassembly and can be pulled out from the top of the sink. If this is the type you have, simply pull out the pop-up and clean off the hair clog. Stand a lit flashlight inside the vanity for better visibility. 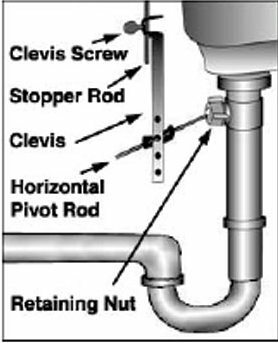 Locate the retaining nut under the sink. Note: Do not run the water once you’ve loosened the retaining nut of the pop-up–it will leak from that opening. With pliers, unscrew the retaining nut and pull it back on to the pivot rod. Pull back pivot rod until the pivot ball is visible – this will release the stopper. Pull out the stopper from the top of the sink and clean off the hair and muck. Reinsert the clean stopper and push back the pivot rod into its original position. You will need to catch the hole at the bottom of the stopper with the tip of the pivot rod which can be a little tricky. Slowly twist the stopper until the hole lines up with the pivot rod. You’ll know you got it when you tug on the stopper and it doesn’t come out. 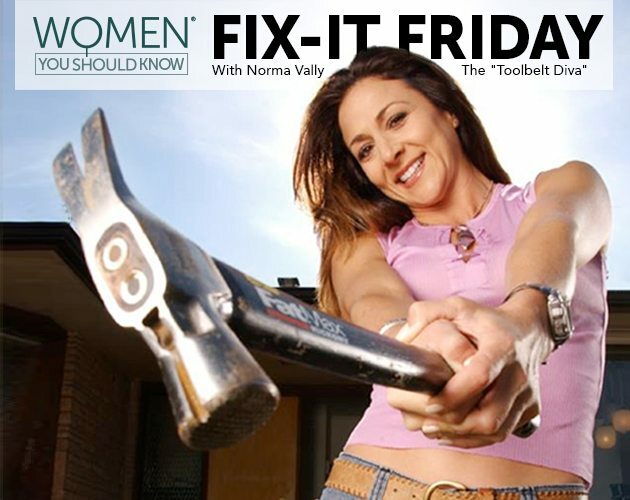 Tighten the retaining nut with the pliers. 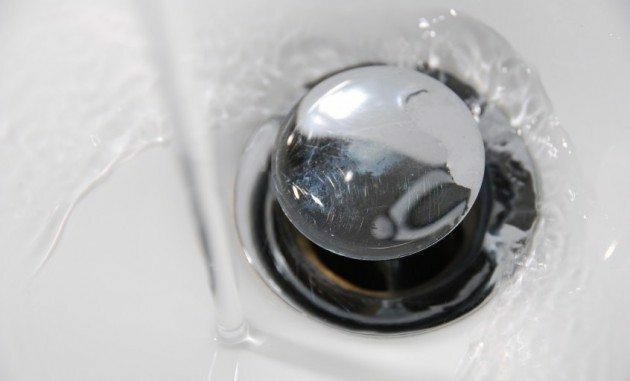 To be sure the pop-up is screwed in properly, close the pop-up, fill the sink with water, release the pop-up and see if water drips from the retaining nut. If so, snug down the retaining nut a bit more. There are few things I hate more than when I’m showering and dirty water starts backing up out of the shower drain and accumulating around my ankles. Gross! The culprit is undoubtedly a hair/soap-scum clog. Instead of using harsh chemicals to clean it out, it’s easier and safer to pull the clog out from the drain hole. 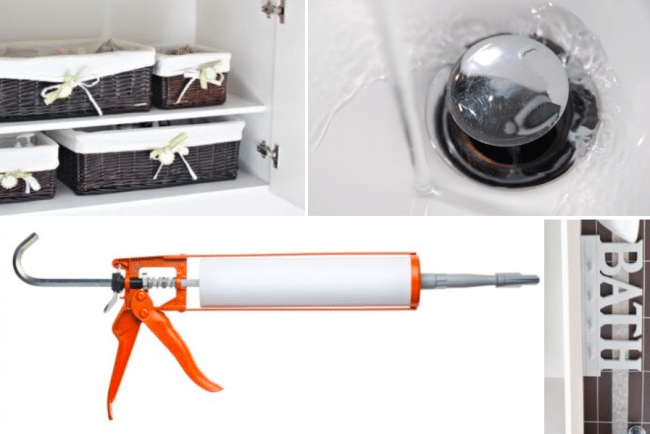 Here’s a link to a full step-by-step from one of my previous (and extremely popular) Fix-It Friday columns… How To Unclog A Blocked Shower Drain. An improper seal on your tub and faucet is not only unsightly, but can allow water to seep behind your fixtures and tile, damaging the wall, tile stability, and creating a breeding ground for mold! 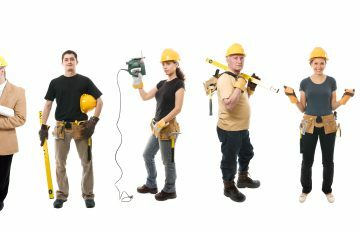 While several different caulking varieties exist, they can basically be broken down into two types – latex based and silicone based. Latex based is water soluble so it can clean-up with water. Silicone does not clean-up with water, making it more difficult to work with. 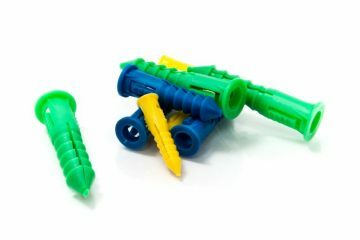 The upside of silicone is that it’s extremely durable. Whichever you choose, be sure to buy one that indicates it’s waterproof and mildew resistant. Also, make sure to read manufacturer drying time. Let the old caulking dry out. 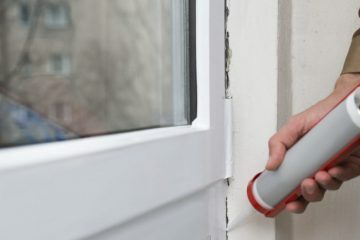 New caulking should never be applied to a damp surface – it will never adhere properly. Using a razor scraper, carefully scrape away the old caulking. Hold the scraper at an angle not to damage the tub or faucet surface. Make sure to scrape away all caulk and mineral deposit residue. Wash entire area with cleanser and let it dry thoroughly. It is recommended to fill the tub with some water and work in the tub barefooted so the weight pulls the tub down and fully opens the joint. Just don’t splash around as you work! Cut open the caulking tube at an angle and pierce the seal inside the nozzle with the caulking gun’s provided piercer or the tip of a wire hanger if your gun doesn’t come with one. Load the gun, push forward on the plunger of the gun until it hits the back of the tube. Put the nozzle of the gun on one side of the tub or faucet and begin squeezing the trigger. As the caulk flows out, drag the tip of the gun along the edge of the tub or faucet. 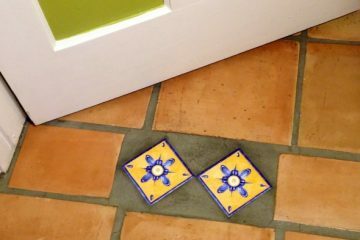 Do this until one side has a continuous bead of caulking. Release the gun’s plunger (so it doesn’t continue to push out calking) and put the gun down. Wet the tip of your finger with a few drops of baby oil. Run you finger gently over the caulking, smoothing out the bead. As excess caulking accumulates on your finger, wipe it on a rag or paper towel and continue along the bead. Continue steps 3-7 until all sides are complete and let the caulking dry thoroughly. Here’s a bonus video of yours truly demonstrating how to properly caulk using a caulking gun. Even though in the vid I’m using painter’s caulk, the process is the same. Do you really need 26 different hairstyling products under your sink? One of my girlfriends recently shared with me that due to a sink repair, she had to empty her vanity and found a can of hair mousse from the 80’s – like, oh my God! (said with my best Valley Girl accent). Streamline and organize your stuff for more space and less stress. Throw or give away unused beauty products that you’ve grown tired of or just don’t seem to work on you anymore. Shower caddies have come a long way. They even make His and Hers two-sided ones! Add an over the toilet or corner freestanding bathroom shelving unit. I love that you can find them in an assortment of materials, like bamboo or brushed stainless. 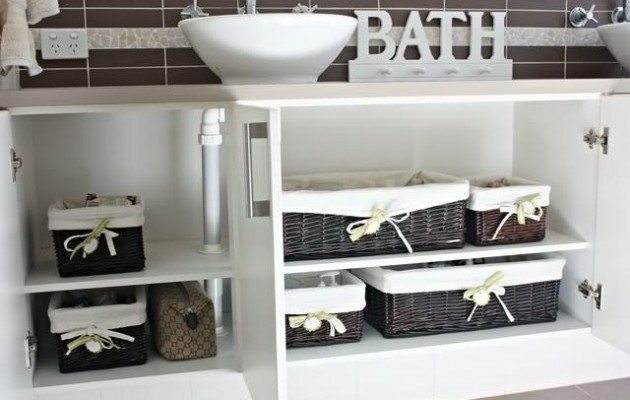 Organize using vanity bins and baskets, grouping like articles. 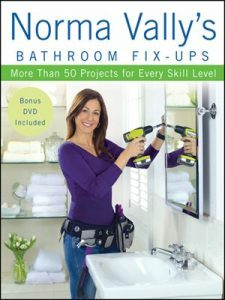 For more bathroom repair and makeovers tips, check out my book, Norma Vally’s Bathroom Fix-Ups… leave a comment below to find out about discounts on orders for WYSK readers! Stay tuned for next week’s home shape-up, as we head into… THE GARAGE.